The U14 Féile Panel gathered in the Club on Wednesday night for what is essentially the beginning of the Big Weekend. A large crowd of players and parents gathered to hear Francis Dillon provide details of final arrangements for the trip to Laois. John Keenan, County Chairman, was there to extend the best wishes of the Derry County Board, and reminded the lads to enjoy the whole experience. 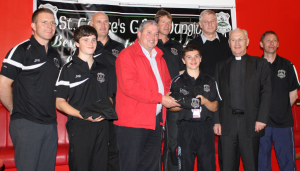 Father Mullan PP talked to the squad about their responsibility to remain “courteous and upright” as they head south as representatives of St Canice’s GAC, Dungiven Parish, and Ulster, before finishing with a blessing that the team compete to the best of their ability and handle winning or losing with the same grace and dignity. 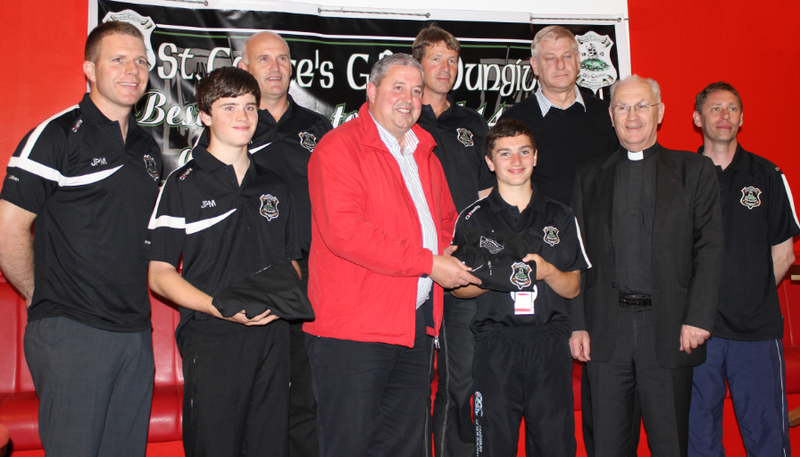 The night ended with the presentation of a commemorative set of Dungiven kit to all members of the squad.